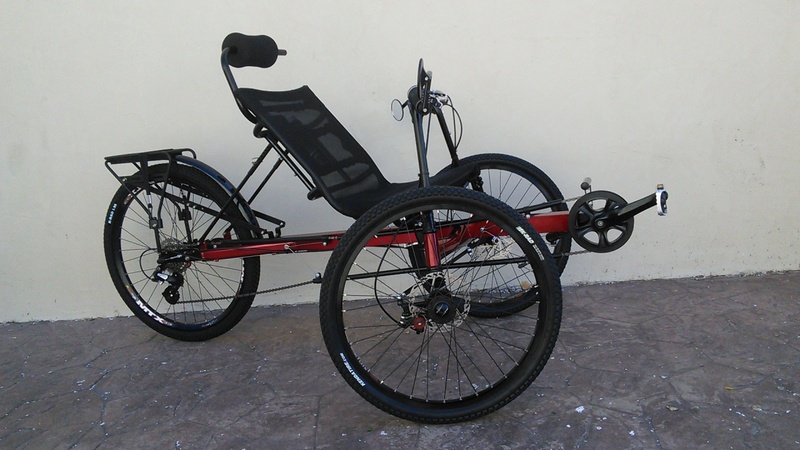 Another popular trike has been ANNIHILATED! 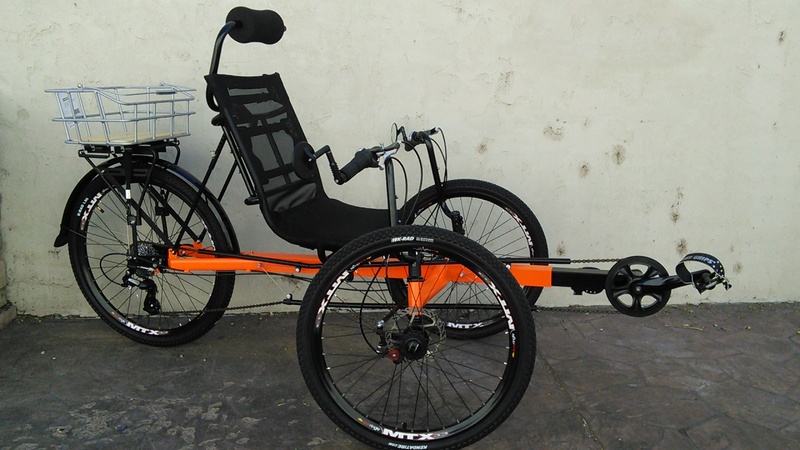 We took the Sunseeker Eco Tad recumbent trike and transformed it into a BEAST! 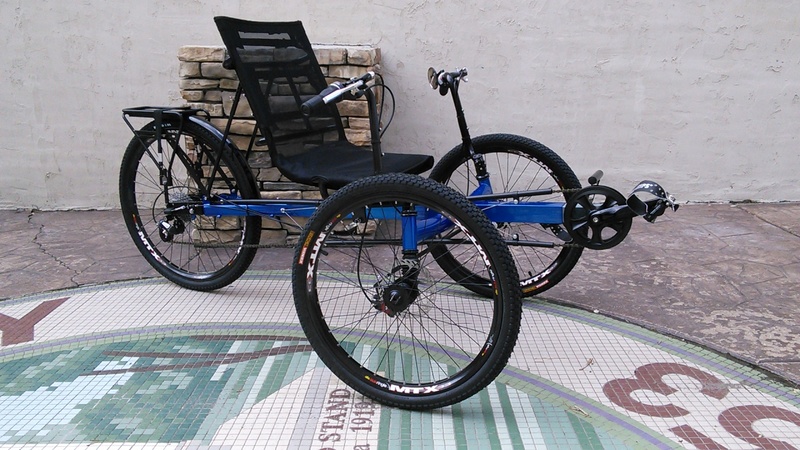 Upgraded gearing and bigger wheels make the ECO24 a blast to ride on the road. 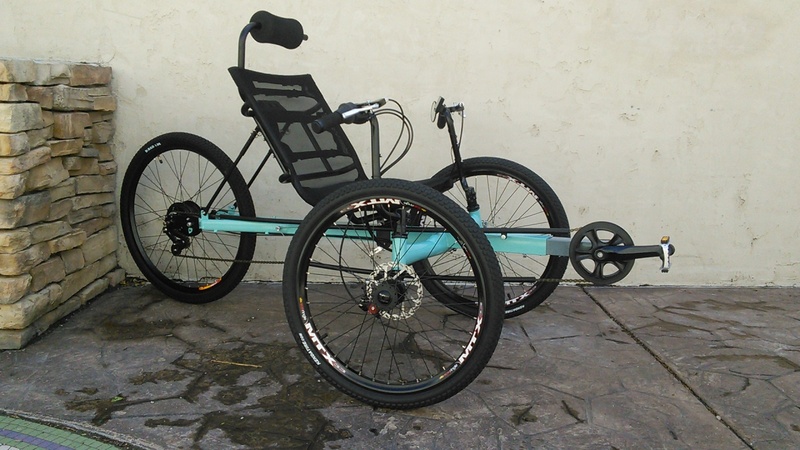 With an introductory price of only $2,000 the ECO24 is the lowest-priced trike in the Annihilator line-up, which gives you room to upgrade and customize to your heart's content. The ANNIHILATOR ECO24. 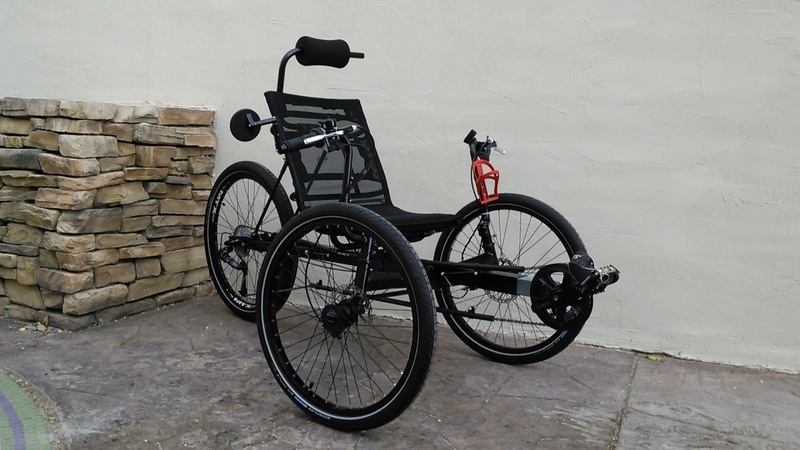 AWESOME gearing, BIG wheels, and a price tag that WON'T break the bank! Can an Annihilator get any better? The ECO24 takes Sunseeker's Eco Tad to a whole new level on the road and trails. You'll reach higher speeds with bigger wheels and a 24-speed drivetrain, and at only $2,000 you'll have cash leftover to upgrade and customize if you want to. 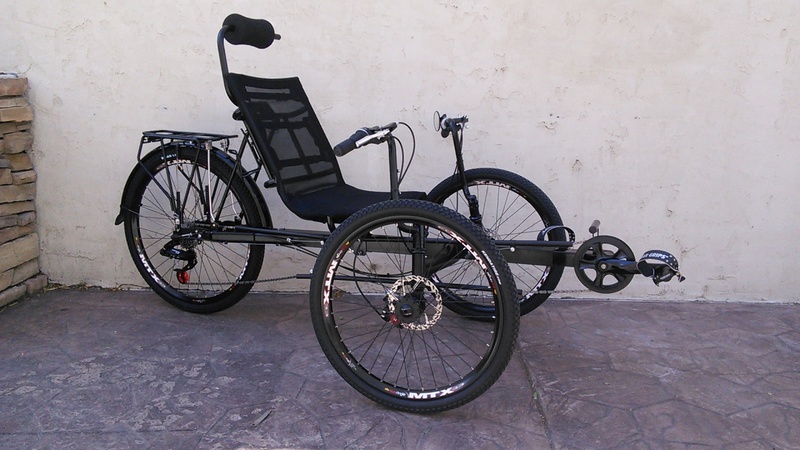 We took the Eco Tad from a 7-speed pleasure cruiser to a 24-speed RAGING road machine! We added the Sturmey Archer CS-RK3 internal hub paired with an 8-speed cassette to make the ECO24 capable of higher speeds on the pavement. 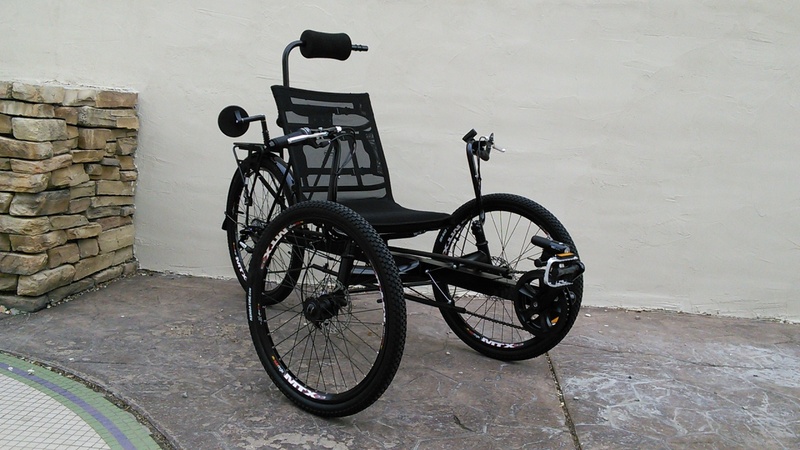 This monster is ready to blaze the trails and make you feel the wind rush past your face. 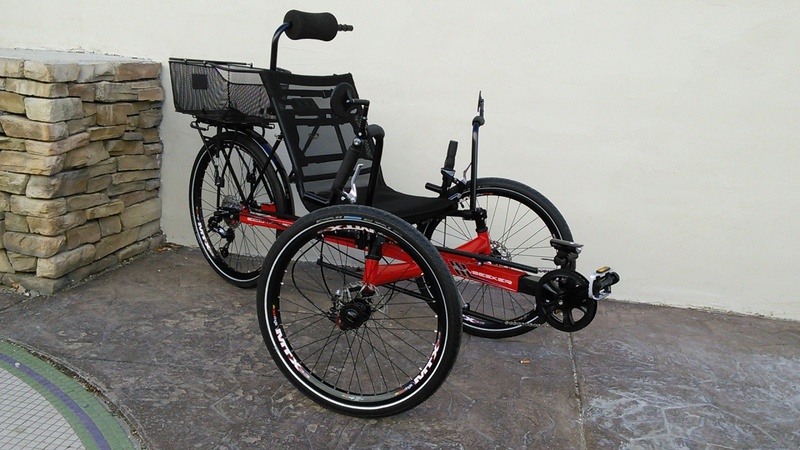 The Annihilator ECO24 features 24-in wheels instead of the 20-inch wheels of the Eco Tad. 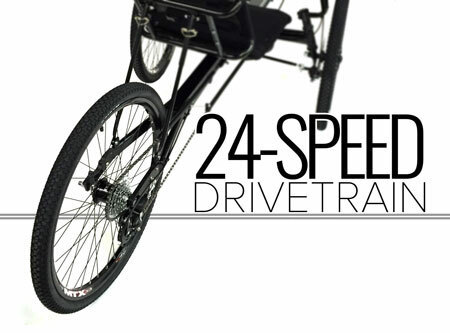 The bigger wheels will let you reach those higher speeds you're dying to reach! A Starting Price that CAN'T BE BEAT! What we love about the ANNIHILATOR ECO24 is it's unbelievable price point!!! Remember, it starts at only $2,000 which gives you room to upgrade and customize all you want. If you've been waiting for an opportunity to get into an Annihilator, now is your chance. 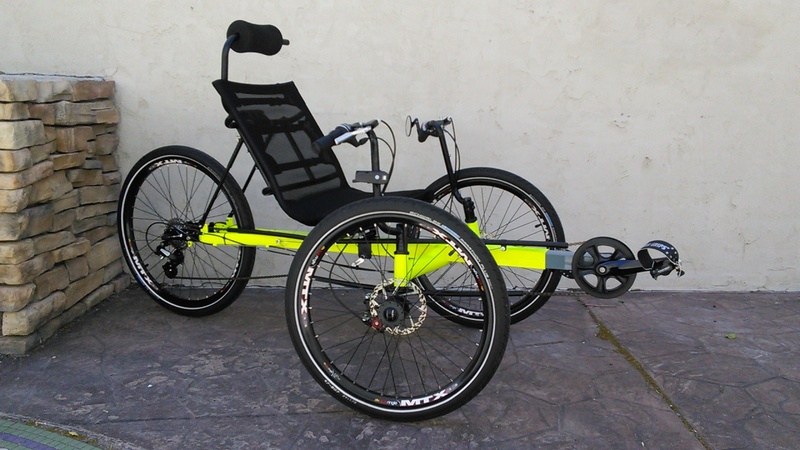 The ECO24 gives you some SERIOUS bang for your buck with impressive gearing and bigger wheels, but don't stop there. How are you going to make it one-of-a-kind? The Schlumpf High Speed Drive is an internal gearing solution that uses planetary gears to increase the rotational speed of the chain ring compared to the crank arms by 250% when engaged. When disengaged, the cranks are effectively locked to the 27-tooth sprocket. With such a wide gear range, the HSD completely replaces the front chain rings, derailleur, and shifter, even though it only has two gears. The wide gear range means virtually no overlapping of the gear ratios.